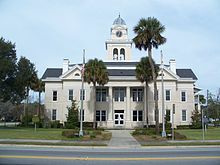 He was voted, by the U.S. Congress, for Lafayette the sum of $200,000 and a township of land in Tallahassee, Florida, to be known as the Lafayette Land Grant. The Lafayette Park, a part of the Lafayette land Grant is located on the western side of the township. 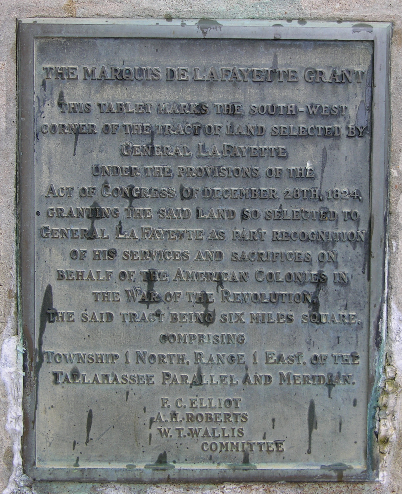 Plaque of The Southwest corner of the Lafayette grant. It is the only one (1) of four (4) of the boundary markers still in place. 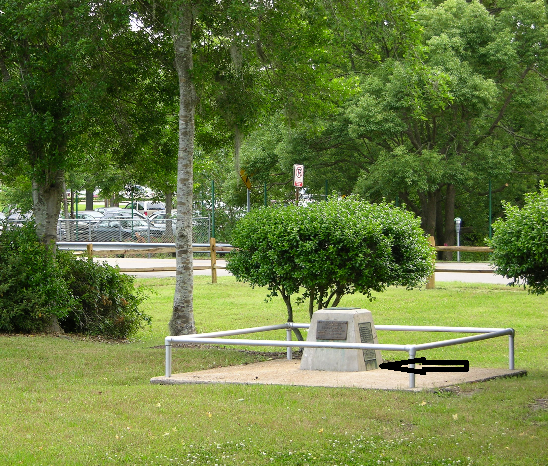 *The marker of the Lafayette Grant southwest corner is today affixed to one side of the old “Prime Meridian” marker monument now located in the parking lot of the Florida Surveying and Mapping Society. 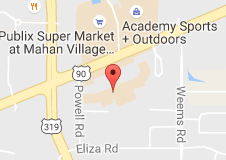 Baldwin, FL – Lafayette St.
Bradenton, FL – Lafayette Rd. 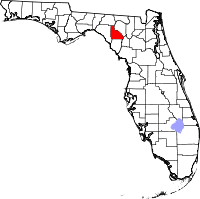 Marianna, FL – Lafayette St.
Pinellas Park, FL – Lafayette St.
Sebring, FL – Lafayette Ave.
Stuart, FL – Lafayette St.
Titusville, FL – Lafayette Ave.